Having a poor credit score is no big deal, right? A poor or bad credit score has some very serious consequences. For one thing it will cost you money. This is because there is an inverse ratio between your credit score and the interest rates you’ll be charged. In other words the lower your credit score the higher will be your interest rates. While this may not have much of an effect on a short term personal loan or a small credit card balance it can mean big money when it comes to auto loans, mortgages and other types of secured loans. As an example of this, a 30-year loan for $165,000 at 3.93% will have a monthly payment of $786. However, if have bad credit and are charged 4.46% (just half a point more) your monthly payment would jump to $830 per month. This would be a whopping $16,560 over the life of your loan. In addition, if you have a poor credit score you may have to pay more for your auto insurance and might not be able to rent an apartment or get your utilities turned on. 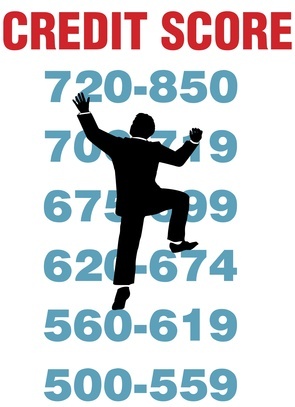 If you know your credit score you now know how lenders will view you. If you don’t know your credit score, it’s time you got it. You can get it free (once a year) from any of the three credit reporting bureaus – Experian, Equifax and TransUnion – or at the website www.annualcreditreport.com. You can also get your score at www.myfico.com, which might be your best option as it’s the score most often used by lenders. The other credit scores such as the ones you would get from Experian and TransUnion will not be identical to your FICO score. But one of these should be close enough for you to know where you stand and how you would be viewed by a potential lender. It’s said that a minor late payment won’t hurt your credit score if you quickly catch that account back up. While this may be true it’s only if that late payment is isolated and historical, which means the account is not currently delinquent. 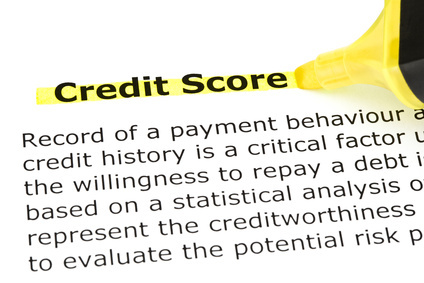 There are two categories of derogatory information in the world of credit scoring. They are minor and major. The line that divides these two categories is very clear. If you have a historical delinquency that didn’t go past due by 90 days or more, it would be considered a minor derogatory item. This category also includes historical 30- and 60-day delinquencies. Everything else is considered to be a major derogatory item. This would include defaults tax liens, collections, judgments, repossessions, foreclosures, bankruptcy, any account that is 90 days late or worse and accounts that are currently delinquent. If you are currently 30 days delinquent on a debt your score will be lower than if you had never been delinquent on anything. In fact it will be considerably lower − probably by 35 to 50 points. If you are more than 60 days delinquent on paying a bill (but not in default) it gets worse. Your score would probably be 100 points lower than someone who had never missed a payment. Why do these cause your credit score to drop? A scoring system such as FICO or VantageScore is aimed at predicting how likely it is that you will go delinquent by 90 days soon after you apply for credit. If you are currently delinquent – even for just 30 or 60 days – you make the credit score’s job simple because you’ve basically proved that you’re willing to be past due on credit obligations. This is what causes that drastic drop in your score. There is something else you should know about your credit score that is not a secret but isn’t well known by many consumers. It’s that if you have a “30-day late” on one of your credit reports this means you’re at least 30 days late on that bill and probably even later. This is because lenders are not allowed to report your late payments to the credit bureaus until you’ve gone a full 30 days past the due date. If you’re just a week or two behind on a loan payment this won’t be on your credit reports though you will likely have to pay a late fee. 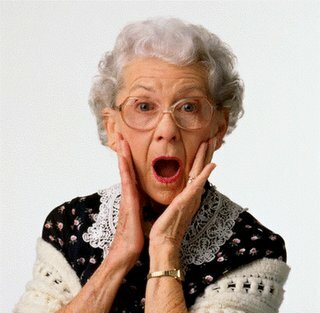 So, if there is a “30-day late” on your credit report, this actually means you’re 30 to 59 days late on that bill. And if you find a “60 day late” on your credit report, this really means you’re 60 to 89 days late on that obligation and so on. The point here is that if you have a “30 day late” on your credit reports it’s likely that you’re really 40, 50 or more than 60 days late. This is another reason why FICO and VantageScore are so tough on consumers who have accounts that are currently delinquent. A second great myth about credit scoring is that if you just catch up on your payment and avoid going 90 days past due your score will recover. This is true to an extent as your score will bounce back but not entirely. The reason for this is that lenders update your credit reports only once a month. In the event that you have an account that is showing up as being currently past due, it will actually be that way for an entire month. And it’s likely that your credit score will be lower and even considerably lower for 30 days. Many finance and credit card companies pull your credit scores every month just to determine if they want to continue to do business with you. This is called either “account management” or “account maintenance.” When you review your credit reports you may find a long list of inquiries that fall into those two categories. The problem with this is that if a creditor pulls your credit score during their account management process and sees that it has dropped because you have a currently late account, it’s likely to react by lowering your credit limits, closing your account or raising your interest rates. Remember what we wrote in an above paragraph that credit scores are a way to predict how you will handle credit in the future. If you quit using credit or use it in a way that the credit scoring formulas don’t like such as using just one card, closing down a bunch of accounts or maxing out your cards – even if you pay them off in full – your scores could go down. This is because it will look as if you were having some problem with credit. The truth is that getting your own credit report and scores will not affect your credit scores. Period. On the other hand if you were to ask a friend or relative at a car dealership or bank to pull your credit reports this would likely be treated as a “hard” inquiry and would ding your credit score. But it’s a non-event when you check your own credit. This is a very bad myth because it can keep people from checking their credit reports to see what’s going on with their credit and their scores. A recent survey found that about 20% of all U.S. credit reports contain errors and that 5% have errors so serious they are damaging people’s credit scores and causing them to be turned down for loans or paying much higher interest rates. You really need to go to www.annualcreditreport.com at least once a year to get your credit reports from the three credit bureaus so that you could dispute any errors you find. And if you’re about to apply for a major loan such as an auto loan or mortgage, you should go to ww.myfico.com and buy your score so that you can see how lenders will view your application. Plus, you will get some good tips th`ere for improving your numbers. If you’d like to know more about credit reports and how credit reporting works, here’s a short video that offers some good information.